Ethically sourced meat, check. Quality service with a smile, check. A range of smallgoods so large a Parisian delicatessen can be heard screaming from afar, check. Now, a smokin’ barbeque backyard, double-check. Where is this Hail Mary you might ask? Why it’s Berties Butchers of course. The much-loved Richmond Butcher on Swan Street has been a local since 1870 and maintained by three families over that time. With new owners in 2012, a refurbishment and meatovation took hold, owning their meat through a strong relationship with organic farmers to promote quality meat, hormone free and healthy free-range animals for us to enjoy. Maintaining their nose-to-tail philosophy, the butchers and staff encourage customers to ask questions and “get to know them”. 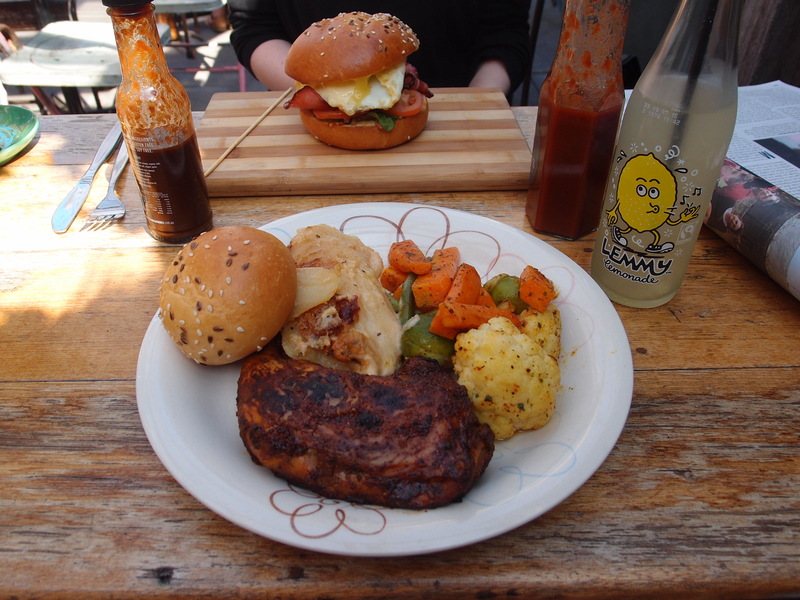 To add another scrumptious layer to their brand, the little Berties BBQ and Beer Garden was formed in the courtyard at the back of the butcher. The vibe is a summer beer garden meets a quality restaurant courtyard with a fancy-hipster-family barbeque feel. 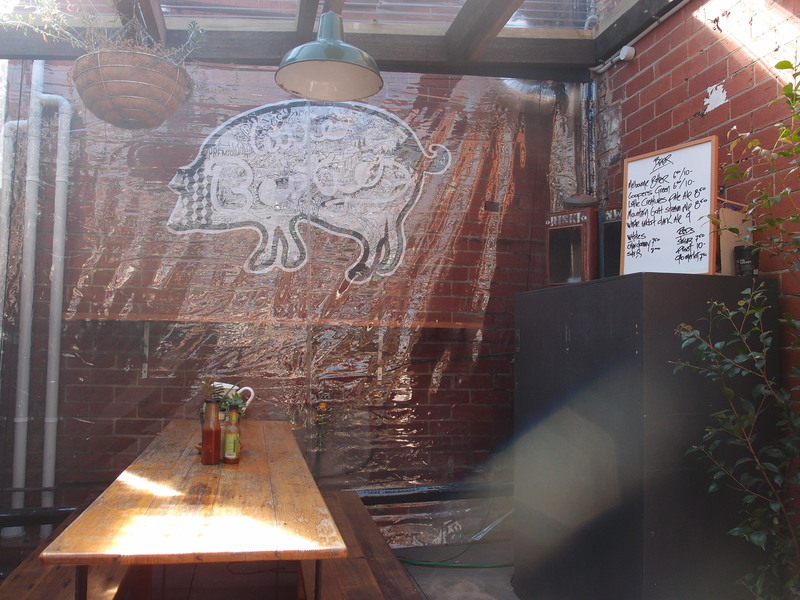 The simple set up, centred on the impossible to miss meat smoker is far from gritty and much more like the country yard in the ultimate urban space, overlooking the car park and East Richmond train station. The menu is styled around meat, meat and well meat, but they do offer a few veg options on the breakfast menu, which from breakfast, lunch and through to dinner, they update, change and experiment with every day. Lunch offers between two and three meaty options with a range of sides to discover including Moroccan spiced vegetables, scalloped potatoes, German style potato salad, Vietnamese slaw or green salads. New to the menu is a brioche bun burger fully equip with crispy bacon, egg, fresh tomato and spinach served on top of a mouth-watering beef mince patty locked in place with a layer of melted Cheddar cheese and oozes of mayonnaise (breathe). Now, I’m not a huge fan of bacon and an even less fan for brioche ruining my savoury burger but this combination was exquisite. The meat-to-bun-to-mayo ratio was spot on and the sweetness of the brioche didn’t take away from the juiciness of the patty or the crispy saltiness of the bacon. The size is just right too; it looks impressive but is easy to eat and leaves you full without potential meat-exploding stomach pains later in the day. Just as scrumptious was the jerk chicken meat tray with a side of Moroccan veg and scalloped potatoes. The skin was perfectly crispy with soft, tender and flavoursome Maryland chicken inside, covered in the Jamaican spices packing enough heat but allowing you to add some spicy condiments to enhance the flavour. The table is filled with spicy condiments to add to an already generously sized meal. Sauces include Berties’ own BBQ sauce, chilli sauce and the standard Tabasco range. Mains are $12.50 and a mere $2.50 will get you a side. 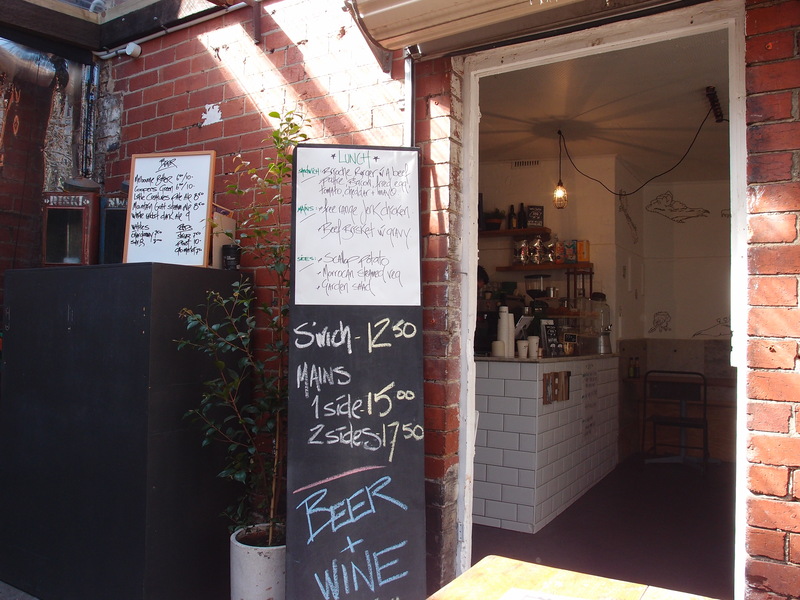 With a fully stocked liquor licence, the usual Richmond craft beers are bottled ready to go and there are around seven reasonably priced wines calling on us during those warm summer nights. The coffee station is café standard using Syndicate coffee and supplying organic softies and juices. 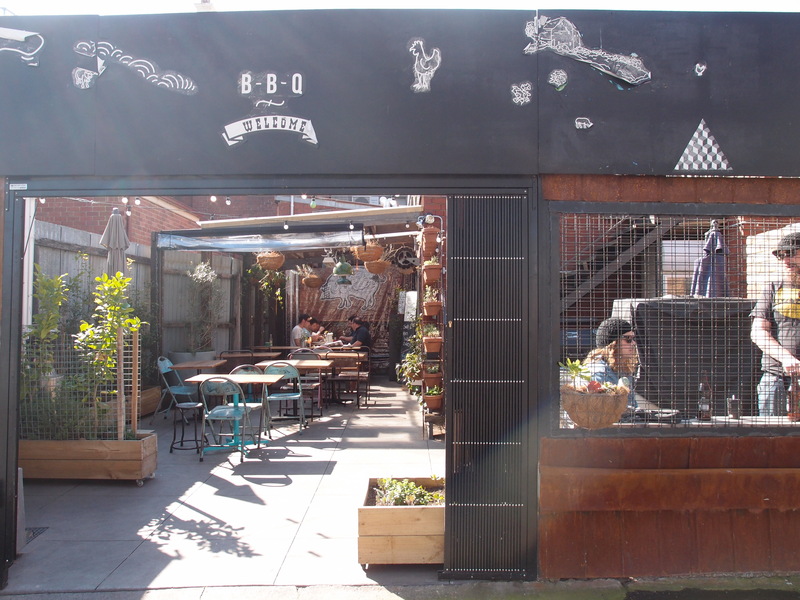 The charming, smoking barbeque courtyard filled with tranquil hanging pot plants combines an industrial-meets-organic feel, making the ideal place for a cosy winter brunch or a sun blazing hot spot on a warm summer afternoon. Open Wednesday – Sunday 7am – 3pm and for dinner on Thursday, Friday and Saturday nights.